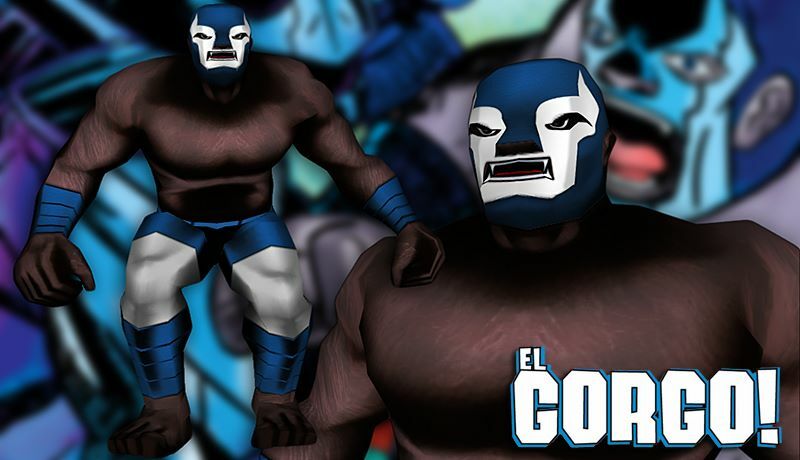 Ewzzy: Freedom Force – El Gorgo! Freedom Force – El Gorgo! The marvelous Mike McGee and the tangible(?) Tamas Jakab are the creators of the impossibly amazing webcomic El Gorgo! I unleashed a teaser image of my El Gorgo skin on Twitter a few days ago and these kind gents followed me. I wasn't even following them yet! (my secret shame) I continued my work on El Gorgo and posted it to the Freedom Reborn Forums and then debuted Axe Cop. Not long after I posted my my teasers of Eddie Devil I found that Mike McGee had tweeted about it. I had yet to tweet about it myself! This level of connection between artists and fans (becoming mutual fans even) is why I love living in the future. MASCOTS! They're all out to get me!